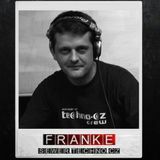 Frantisek Urban aka DJ Franke has begun his interest in electronic music around year 1993. At first he was only wondering around in local clubs and by the year 1999 he is already active with his own DJ performances. Presently he is a leading representative of the next generation techno Czech DJ´s with performances in clubs around the country and in neighbouring Slovakia.